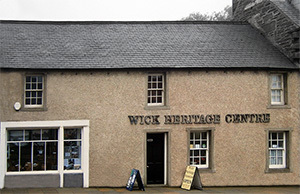 The Wick Heritage Museum is located in the heart of the Thomas Telford designed Pulteneytown. Situated in premises that were once home to a number of businesses and families in Bank Row, the somewhat rambling building is something of an 'Aladdin's Cave'. As you enter the building a team of dedicated volunteer guides, each one with their own historical knowledge, await to explain the room upon room that displays the many aspects of life during the heyday of the herring fishing. 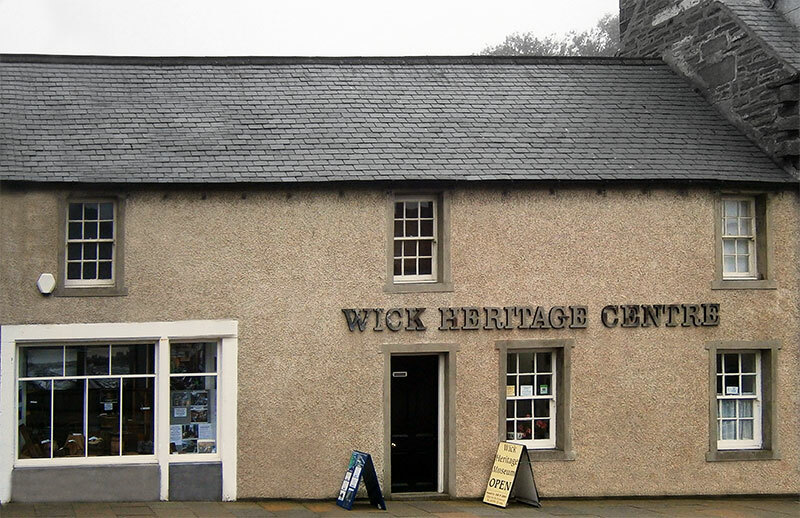 While an obvious aim of the Heritage Museum is to collect, collate and display the many artefacts that tell the history of Wick, the ethos is one of welcome and sharing. To get the full value of the displays, visitors should allow themselves plenty of time, or as some do,make a number of visits. We are currently undergoing a long and arduous programme of cataloguing our exhibits. As we progress they will become available for viewing on this website. You can search our catalogue so far by clicking here. Herring fishing was the town's prime industry. Pulteneytown and its harbour was built to accommodate the many fishing industry and its ancillary trades.The Fishing Hall in the Museum helps recreate and tell the story of these halcyon days. The Boat Section based in the Herring Mart and the Lifeboat Shed keeps alive the history and knowledge of the fishing boats. While the Isabella Fortuna may be the pride of the fleet, other examples are also available to view. The Johnston Photographic Collection is of international importance. Some 40,000 images have currently been digitised and made available. Examples will be found throughout the Heritage Museum and many more via its website which you can view by clicking here. Wick Voices, the Oral History Section is actively recording memories and information about Wick's varied past. The collection of recordings will gradually become available here via this website.